Our very good friends, Joe and Lydia, got married this past weekend! (yay! congrats guys!) I was recruited to make the cake. I've never made a fancy tiered cake before so I suggested we go with a small cake for them and a bunch of cupcakes. I found a pretty little cupcake stand on amazon which I used to display everything. I used the awesome cake recipe that I also used for Ava's rainbow birthday cake. I dyed a portion of the mix blue and swirled it in to the middle portion. I made a ton of little blue daisies to put on top out of gum paste. I think they came out super cute! 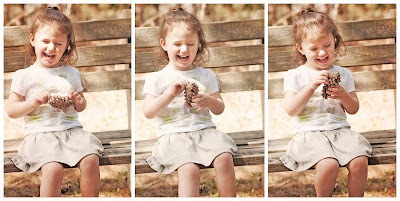 This post is a little late in the making since she turned 3 over a month ago but here it is! We had a very bizarre couple of weeks up here in Maine in the middle of March. The weather was beeeautiful with temps in the high 70's! So we were able to have a little BBQ out back for Ava's birthday party (never again, I'm sure!) I made her a huge 5 layer rainbow cake since she's obsessed with rainbows lately. I've seem a bazillion rainbow cakes floating around on Pinterest so I thought I'd give it a shot. It came out fantastic!..If I do say so myself.. :) I used this cake recipe which was soo delicious! *TIP: make sure you evenly divide the batter between all six bowls first, not as you go (duh) I ran out so I didn't have enough for the purple layer!! darn. Her dada took her to Build-A-Bear in the morning and she got a little tye-dye bunny with a couple of outfits. The cake was so big we only put a wee little dent in it so Joe took it to work for his co-workers! I always make him take the left over sweets to work so I don't sit here during the day and finish them off myself! I made him 2 Acadia Tees last week for less than 5 dollars for both!! The Mickey one I made from an old tee-shirt and the zebra fabric I got for only 3 dollars a yard (I only used about a half yard) It's nice to finally be able to make boy clothes! I've made Ava a ton of tee's with this pattern as well but most of them were girlified of course! I'm still selling it in the SHOP if you would like to make some! They are soo simple. I made this sweet little dress from some super soft jersey knit the other day. Ava loves it when I make her new clothes ( I know this won't last long!! 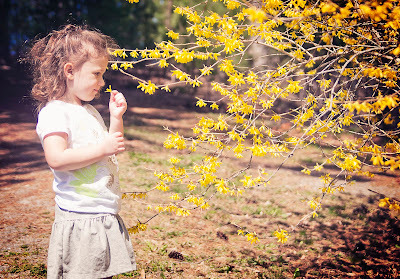 She'll be 3 in a couple of weeks..eekk!!) She says "You did a goood job mama." I know she'd say that even if it were hideous but I'll take the compliments where I can get them! We are going to Florida again in a few weeks and I've been busy making Ava a few new outfits to wear while were there. -We're staying for 2 weeks this year instead of 1- ya hoo!! - I finished up a couple tops for Ava yesterday. I used the Swing Tunic pattern from Oliver and S. This is one of my favorite patterns right now! This fabric is by Amy Butler. I believe it's called "happy dots"? The fabric for this one is by Anthology. 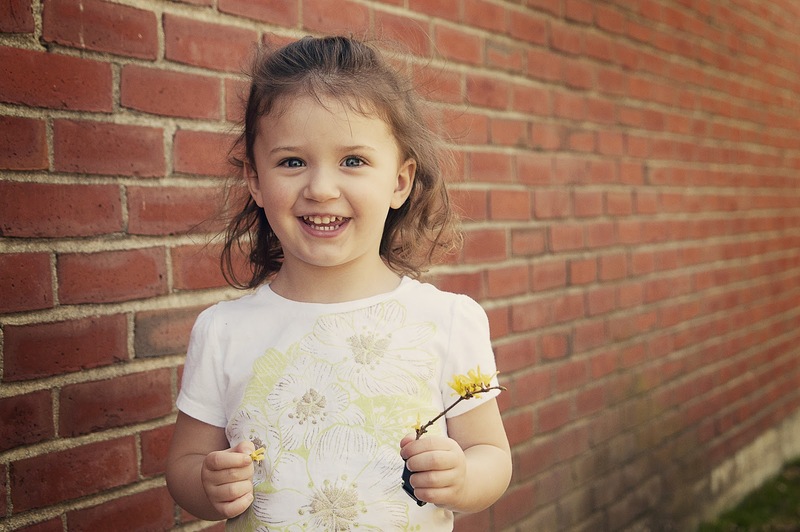 Here's Ava wearing the one I made her last year from this pattern. I used the 2T size then and this year I made the size 4. I wanted to make sure it will still fit when Summer decides to rolls around- so sad to see how much she's grown :( my baby is growing up too fast! There is one part of the instructions that are a tad confusing and the Oliver and S blog has a great little tutorial with a little more detailed instructions on how to attach the ruffle to the back bodice. Although this is a tunic pattern it would make a really sweet little dress by just adding some length! I have been working on this little rag-quilt for Eli this past week and just rapped it up this afternoon! All of the fabrics are from Joann's. I was inspired by this pin on Pinterest. I loved the idea of using the strips of fabric to make the quilt instead of the traditional squares. I also liked that the edges were binded instead of fringed. I wanted the quilt to be on the thinner side so I left out the batting. I got a blister on my thumb after cutting all that fringe! If you make one, make sure you are using a good, sharp pair of scissors! I was too lazy to get up and get a different pair. 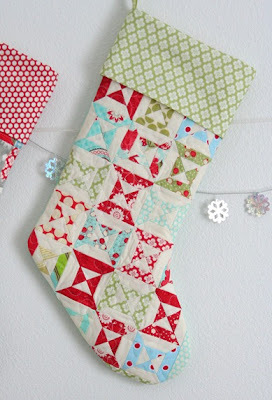 I have been telling my self for the past 3 years that I am going to make some Christmas stockings! Well 3 years and 2 babies later.. still no stockings. Just the boring, impersonal store bought ones. Since Christmas is now just days away.. it doesn't look like it's happening this year either. I have looked through tons of tutorials and fabrics and just can't settle on one that's perfect. And it does have to be perfect because they will be used for years and years to come! It never occurs to me the rest of the year to sew some up.. only in December when we pull all of the decorations back out and I have 100 other things on my to-sew list. Here are a few tutorials I have bookmarked in case you were thinking of making some too! 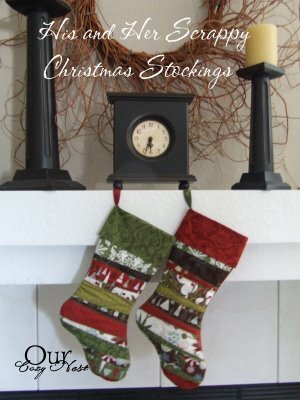 If anyone has seen any other tutorials for stockings floating around out there I'd love for you to share them with me! Just leave a link to the tutorial in the comments so everyone can see. Only 3 more days until Christmas!... 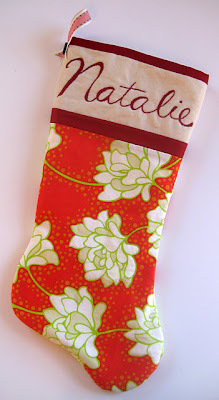 definitely no new stockings this year.. Maybe 2012 is the year! Can that be a resolution? I love making molasses cookies around the holidays! I used to make these with my mom when I was little. We used to cut them in all sorts of different shapes and used colored sugar on top! I went the old fashioned route for these and cut simple circles and used plain white sugar. Mix together crisco, molasses, sugar and the egg. Add the baking soda dissolved in boiling water. Roll out the dough (use a bit of flour to keep it from sticking) and cut out your shapes. Then sprinkle the cookies with sugar. Bake at 375 degrees for 8-10 mins and ENJOY!